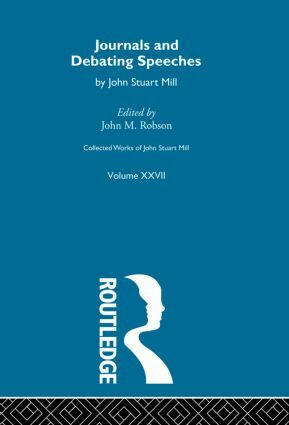 The Collected Works of John Stuart Mill took thirty years to complete and is acknowledged as the definitive edition of J.S. Mill and as one of the finest works editions ever completed. Mill's contributions to philosophy, economics, and history, and in the roles of scholar, politician and journalist can hardly be overstated and this edition remains the only reliable version of the full range of Mill's writings. Each volume contains extensive notes, a new introduction and an index. Many of the volumes have been unavailable for some time, but the Works are now again available, both as a complete set and as individual volumes.